Head south-west along Bourke St towards Union Lane, another famous street art hotspot. Where Hosier Lane is known for its larger, more 'considered' pieces, Union Lane is known for being less uniform and more of a 'free-for-all'. It is not unusal to walk past a street artist working in the laneway. Turning off Bourke Street Mall onto Union Lane is often a surreal experience, especially after sundown. In one movement the bright lights, street performers and tram gongs of the mall are replaced by darkness, eclectic shapes and isolation. Union Lane is long enough that, in the middle, you can still hear the sounds of the city on either side, but you are removed from it, and encouraged to focus on the space immediately around you. This reflects the way psychogeographical factors can influence both the creation and consumption of street art. As with Croft Lane, the few lit windows and streetlights become spotlights, focusing your attention on particular works - often on particular parts of work, such as the unique lettering of tags or the contrasting colours in murals. 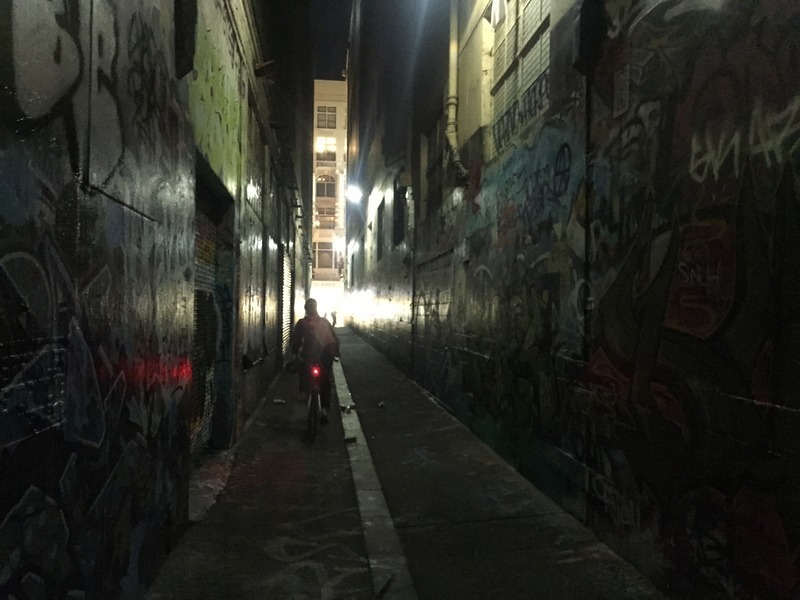 Passing cyclists and pedestrians serve as a reminder that these laneways exist with a purpose beyond the art, and that street art is, by its nature, shaped by the function of the space. The flashing red light of a bicycle brake light almost looks a warning alarm, reflecting the tensity involved in creating these subversive art pieces. 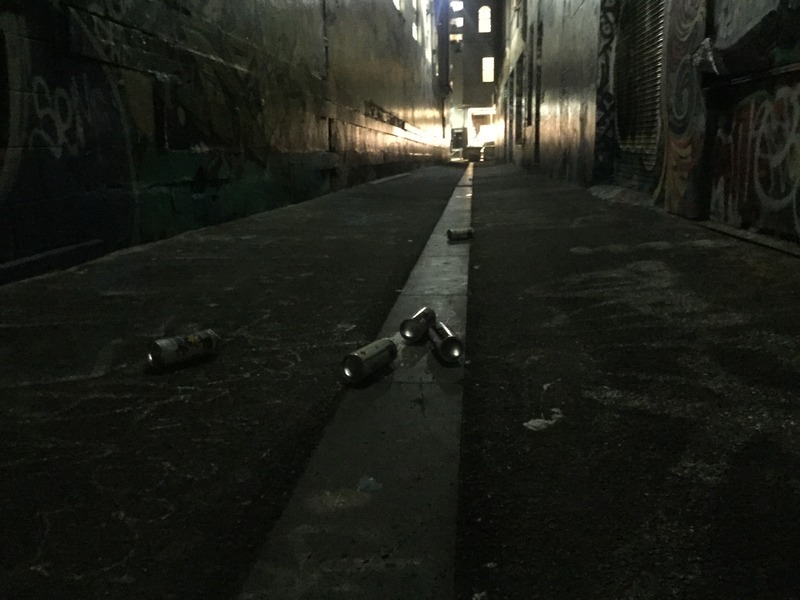 “Union Lane,” Street Art deTours, accessed April 20, 2019, http://streetartdetours.com/document/1153.